What Is ATD in Bodybuilding? In the quest for ever bigger muscles and ever faster results, many bodybuilders turn to nutritional supplements that promise the world — and too often don't deliver. A group of supplements called prohormones appear to deliver anecdotally, but safety concerns have gradually outlawed many of them. Spawn is a prohormone bodybuilding supplement manufactured and distributed by Myogenix that was outlawed in 2009. Myogenix claimed that using Spawn would increase muscle mass with minimal water retention and lower estrogen levels to allow for greater mass gains. The manufacturer claimed that the unique benefits of its product included increased libido, increased training intensity and reduction and prevention of gynocomastia, or male breast development. The "magic" ingredient was a blend of synthetic prohormones — namely 19-Norandrosta-4,9 diene-3,17 dione and 2a,3a-epithio-17a-methyletioallocholanol — which were formulated to mimic steroids that were banned from over-the-counter sales by the Anabolic Steroid Control Act of 2004. Prohormones are converted to active anabolic steroids by the body. Because they require enzymatic activity for conversion, there is only so much that can be converted at a time. But the necessary enzymes are usually quite plentiful in the body, with the result that effects can be seen with only a small amount of prohormone supplementation. While many people claim to have had dramatic success with these drugs, the side effects were severe enough that most were eventually banned. There are many cases of bodybuilders crediting prohormone supplements for their bulging biceps and stacked lats, but actual scientific evidence seems to contradict the claims made by supplement manufacturers. According to a 2003 paper published in the “Canadian Journal of Applied Physiology,” some of the very same prohormones featured in Spawn have been shown to raise estrogen levels instead of decreasing them and increase your risk of cardiovascular disease and prostate and pancreatic cancers. Increased risk of disease aside, a drug that raises your estrogen levels will not, by definition, increase your libido or muscle mass, which are testosterone-defined traits. 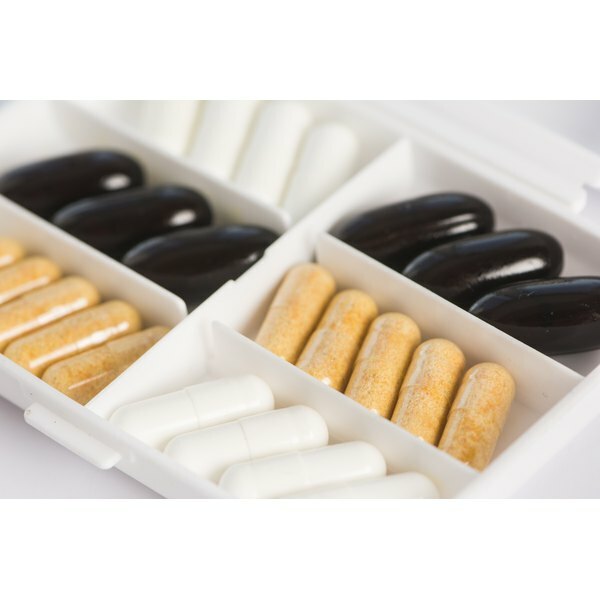 Prohormone supplements including Spawn carry quite a list of potential side effects including liver toxicity, loss of appetite, increased blood pressure and cholesterol, loss of libido and prostate enlargement. Women who take prohormone supplements may experience "masculinization" from the altered hormone levels — symptoms include acne, hair loss, increased facial hair and an increase in fat stored around the waist. Men may experience gynecomastia and shrinkage of the testes, and both sexes may feel fatigued and crampy. Bodybuilders who use prohormone supplements combat these side effects by simply taking more supplements, each of which also carries its own list of side effects and warnings. The Anabolic Steroid Control Act of 2004 made most active steroids and many prohormones illegal, but supplement companies kept ahead of the curve and developed new formulas that had different chemical names, but were mostly the same substance with the same action and side effects. That's where Spawn came in. According to the U.S. Food and Drug Administration, Bodybuilding.com, a major prohormone retailer, issued a volutary recall of all prohormone products, including Spawn, in 2009. The recall came after the FDA warned the company that the prohormone ingredients did indeed count as steroids and lead to a number of unfortunate side effects. The Myogenix website still has a product information page for Spawn, but it includes the notification that "Spawn has been banned by the FDA and discontinued by Myogenix." PubMed.gov: Oral Andro-Related Prohormone Supplementation: Do the Potential Risks Outweigh the Benefits?